Jesper Lundgaard has for many years held an international reputation as a world-class bassplayer. For his trio he has chosen two Danish colleagues, Hans Ulrik and Niklas Knudsen who share similar musical outlooks and have outstanding versatility. With Jesper playing acoustic and electric bass, Hans on tenor and baritone saxophone and Niclas playing various guitars, the trio has a wide range of dynamics in interpreting their material. Here the music of Cornelis Vreeswijk is their inspiration and they bring into focus many new aspects in 12 of the compositions of the greatly-missed artist Cornelis. During the Nineties I lead a quartet called "The Repertory Quartet", and from 1994 to 2000 we released 6 albums, each one dedicated to one or two composers in jazz. It was a very popular group and we shared many fine musical moments during its lifetime. At the same time it was very hard work to keep the group going and, towards the end, I remember thinking that I would never be a bandleader again. In 2002 a heart attack nearly killed me and it took a while before I could play again. One of my first tasks was to record a CD with my good friend and colleague, Mads Vinding. This project was called "Two Basses", and it was released by Touche Music, who also launched the idea. After a while my health improved and the need to have my own musical playground arose again, so I decided to become a bandleader once more. My own musical taste is very broad, so I knew that my new band would be playing different styles and material. Being very fond of the trios formed by Jimmy Giuffre, I aimed in the same direction, looking for two musicians who had similar musical tastes to myself. Finding the two gentlemen, Hans and Niclas, has meant not only a lot of musical inspiration, where I often find myself in the role of the student, but also wonderful friendships, and I hope that my "Jesper Lundgaard Trio" will continue for many years to come. It has been a joy working out the arrangements of Cornelis Vreeswijk's music and later, recording them. There is so much feeling and originality contained within the melodic lines, so the inspiration was instant. 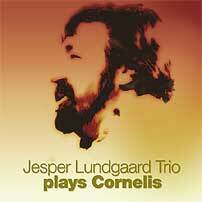 We have listened to Cornelis' albums, tried to maintain the atmosphere that he created in both lyrics and melodies. In some places we have taken ideas from earlier versions, for instance "Visa om ett rosenblad", where the Jan Johansson Trio provided the arrangement and background. In order to create variation we all alternate between instruments to emphasize the specific atmosphere of each melody. Hans plays both baritone and tenor saxophone, Niclas plays different types of guitars, and Jesper plays both acoustic and electric bass. We wish to express our gratitude towards Laila and Charles Gavatin for the interest they have shown in this project, and to Silas Bäckström who was a great help in providing the musical scores, so we could work on safe ground and stay true to the original compositions.